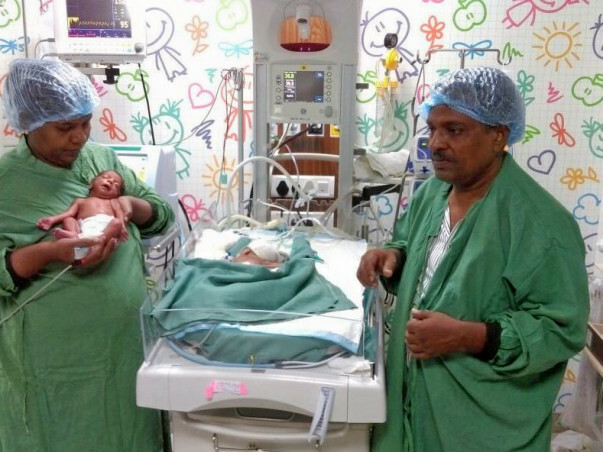 Not even a month back Sunita and Akhilesh Singh had two new-born twins. Unfortunately, instead of it being a joyous occasion for the family, things took a turn for the worse when both the babies were born premature and in a critical state. Out of the two twins, the girl baby is more severe and will require surgery and ventilator support for the next 10 weeks. The approximate cost of treatment for her will amount to 10 Lakh Rs. 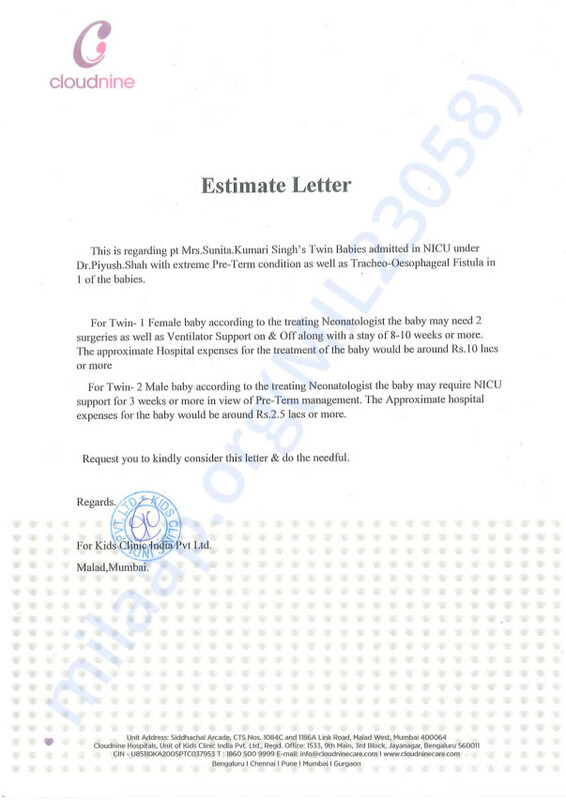 The boy baby requires urgent ICU support for the next 3 weeks for which the total cost is amounting to approximately 2 Lakh Rs. "We have been married for 19 years and have been trying to conceive ever since. When we finally succeeded, we were delighted beyond measure! Anxiety about turning into parents was suddenly replaced by daydreams of first smiles, first words, first steps and more. Until the unexpected happened." Unfortunately, the family cannot afford the treatment required to save their children and need our help. "I work at construction sites and my income depends upon the kind of work that I manage to gain every month. If things go well, I earn up to Rs 40,000 per month but it doesn't, I don't bring a single penny home. Sunita is a home-maker. 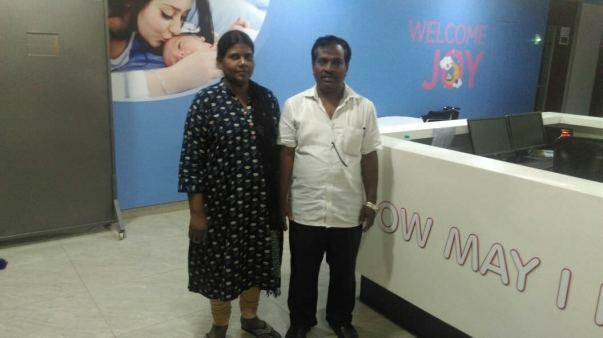 So far, we have spent Rs 6 lakhs on our kid's hospital stay and doctors say our bill might amount to 12 lakhs." The baby girl, among the twins, passed away on 27th October due to cardiac arrest. Our hearts go out to this brave child who endured the struggle and fought so hard for her life. The family is grateful for all the care and support you’ve shown to the twins. The past few weeks have been the most difficult ones for the family. The baby boy has been discharged and is doing fine at home. We hope they find strength in this time of grief. May the baby girl’s soul find peace. Please keep the family in your prayers.